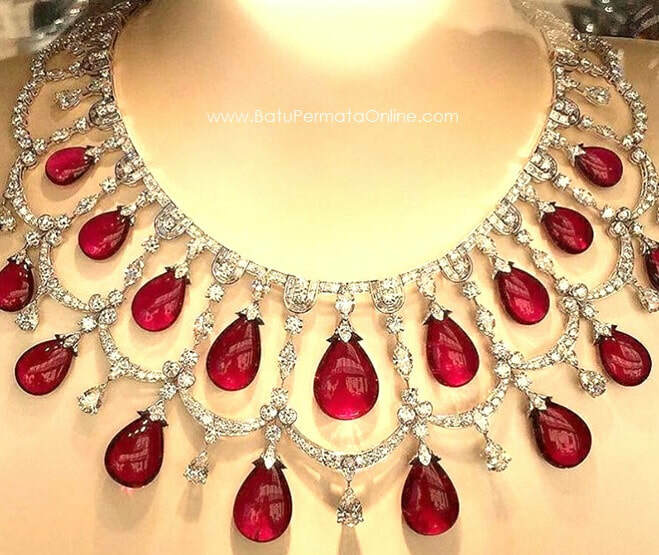 Ruby has been used as a gemstone for centuries, can be seen in various styles, mostly used as Ruby jewelry. Ruby is a durable material that can be used every day such as rings, earrings, necklaces and so on. In Indian-style jewelry, rubies are often mixed with Emerald and Diamonds. The gold setting provides a striking contrast with ruby red. Characteristics of Ruby's distinctive clarity include the inclusion of thin minerals called needles. When the mineral is rutile and the needle is in the intersecting group, it is called silk. Fiber rock (Silk line) may be short or long and slim, and may appear to be tightly woven.